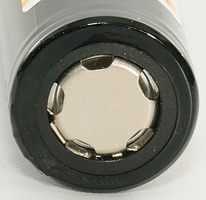 The battery has a flat top, but due to the raised ring on the bottom it can be used in series. 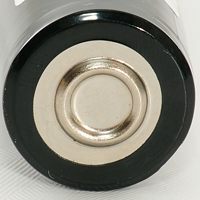 This battery has a high voltage at low loads and higher capacity than most other 2600 mAh rated batteries. 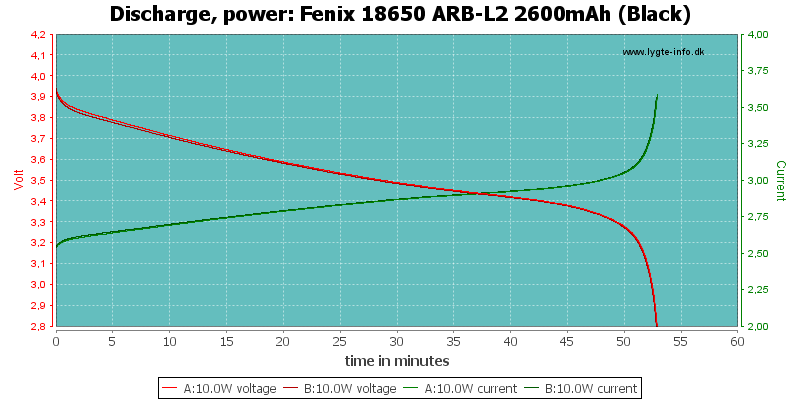 There is also very good tracking between the batteries. 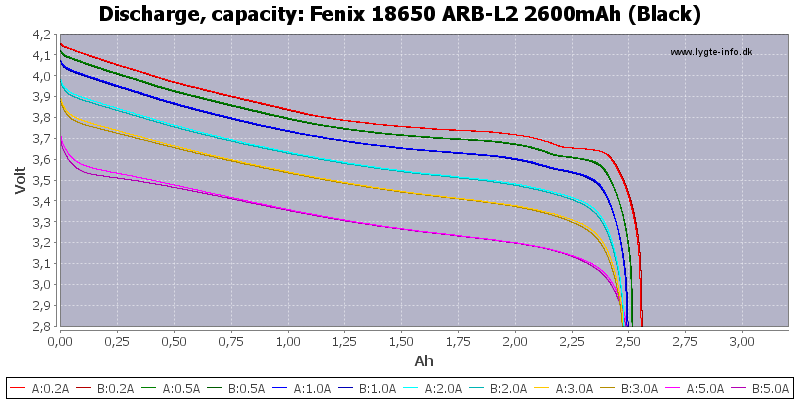 The high voltage can be an advantage in smaller (i.e. 3-4 watt) lights where the battery replaces two CR123 cells. 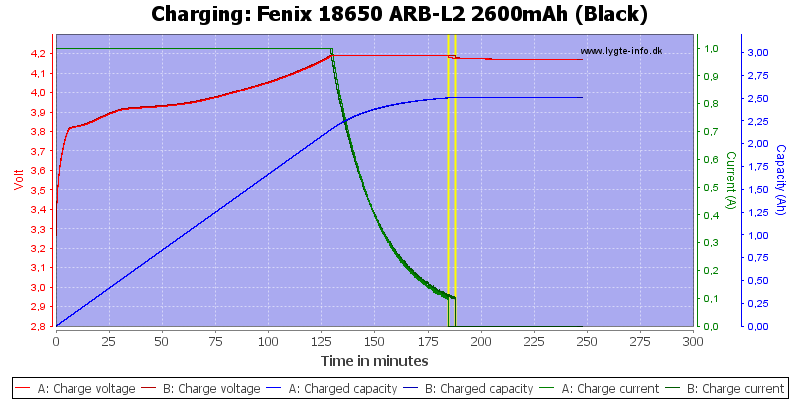 With Fenix behind the battery I have no problem rating it as a good battery although it uses a unknown cell. 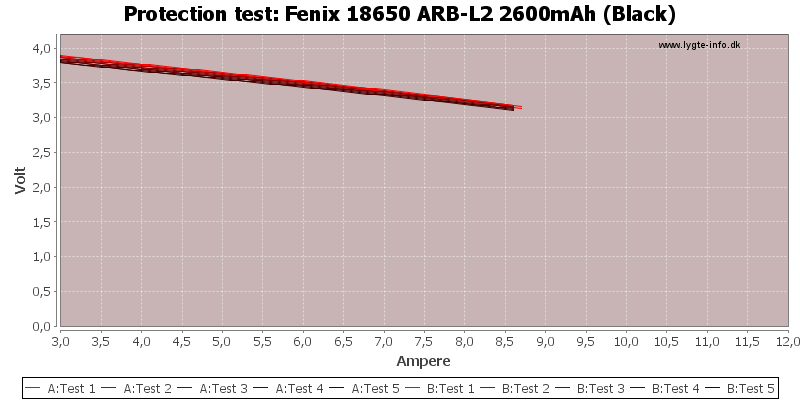 Wow look at that 5.0A draw test! 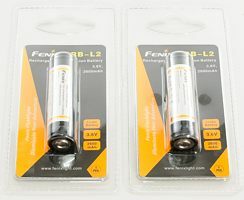 Too bad these are more expensive than some 3100 mAh batteries. 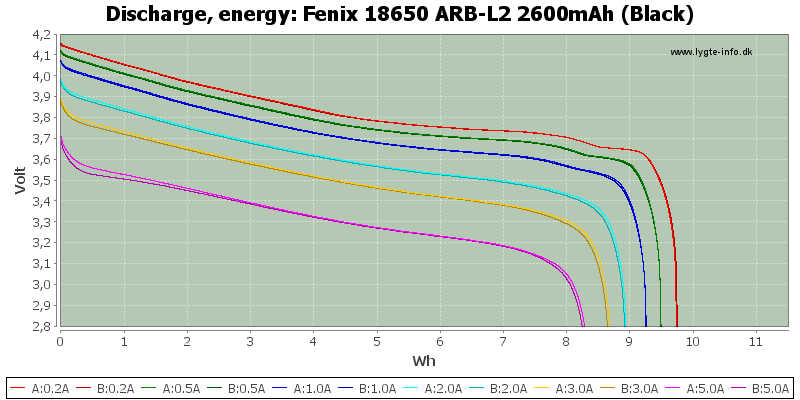 If they were closer in price to other 2600 mAh batteries they'd be a great deal. 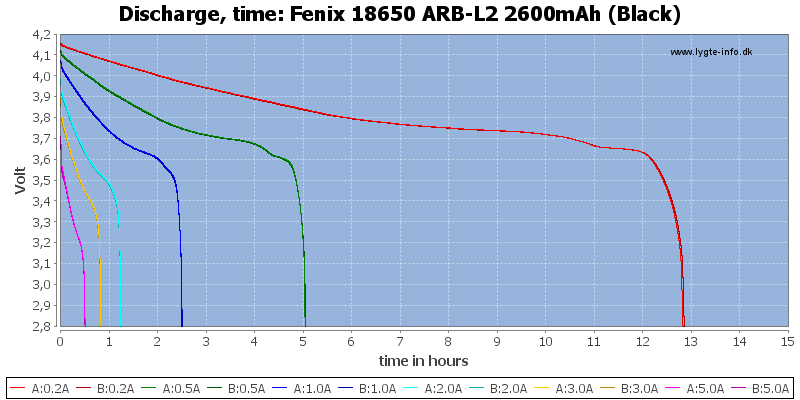 excellent discharge graphs, thanks for the tests!! Thanks for yet another great review HKJ! Thanks so much for another detailed review! Frontpage’d and Sticky’d. i had these before and now moved over to AW. i tend now not to buy from china & their chinese cells. Yeah, because AW are not made in China.. These are good cells with a reputable company behind them. hi thanks, but then how can they perform pretty good as a chinese cell then?. in HKJ’s test they did fairly good. does that mean they maybe got a good grade of cell from japan?, and even if it does, its still considered chinese?. 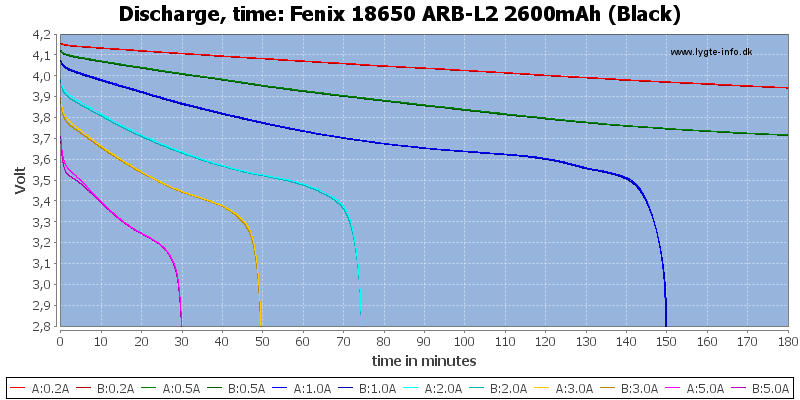 the company what makes the ARB L2 is “BAK”. AW are assembled in China. 18650 cells are Sanyo/Panasonic, other sizes are made in China, some by DLG, some unknown. Maybe some of their cells are even made by BAK.. not everything made in China is crap. What are you trying to say? 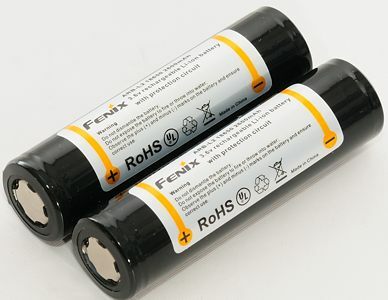 These Fenix batteries made with chinese cells from BAK perform very well. Any other places to buy this cell?